Active Care Chiropractic was started with the vision of providing superior patient care using state of the art technology without sacrificing the personal touch of a small town clinic. We feel that when the time is taken to truely listen to a patient, address their concerns and educate them on their condition, patients take a more active roll in their health care. And this leads to better results. Lets face it, a lot of people know very little about chiropractic, how it works and what conditions it can help. Most have some vague knowledge that it involves back pain and cracking bones, but beyond that it's a big mystery. So let me give you my grossly oversimplified version of things. Chiropractic is a system of health care that uses a variety of techniques to locate and treat areas of the skeleton where the joints (typically along the spine) get stuck and irritate the nerves. What we do is move those joints to free up the fixations and then recondition those areas to stabilize the joints. Once those nerves are no longer irritated, it allows the body to repair itself. I warned you it was extremely oversimplified, but if you would like more details send me an email and I'll be happy to give you a more thorough explanation. But I promise there is really no magic to it. These fundamentals are the same regardless if I'm treating a child, a senior or a world class athlete. Only the techniques used are different. In the more traditional case, when the joints along the spine get stuck they can lead to neck pain and back pain. 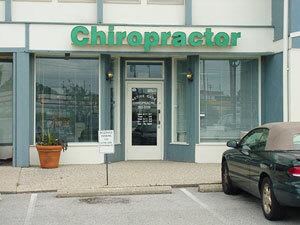 That's where chiropractors get the label of being back doctors. But there is so much more to it than that. Because of it's connection to the nervous system, chiropractic can be an effective treatment for migraines, sciatica, carpal tunnel, sinus problems, headaches, GI problems and a whole host of other ailments. All without the risks of surgery or drugs. If you're curious to see if you are a candidate for chiropractic care, give us a call and we will be happy to schedule a consultation and exam. Active Care Chiropractic participates with all major health insurance companies, including Medicare and Medicaid (CoventryCares). Individuals in need of our services but are worried about the high costs charged by many other clinics need not worry. We have highly affordable rates and flexible payment plans allowing access to high quality care for you and your family. Call us today at (859) 363-3756 or email us at Doc@DrFeeley.com for more details.